This was an amazing day from many points of view; for us it was a day basking in the sunshine on the Isle de Tatihou and then the cruise to Grandcamp Maisy as fellow English and French people alike suffered a swelteringly hot day here and back in England. The cruise was very straightforward with smooth to slight seas with a very small swell but the visibility was not very good meaning that we saw little of the coast and the famous Utah beaches until our arrival on the other side of The Carentan Estuary. 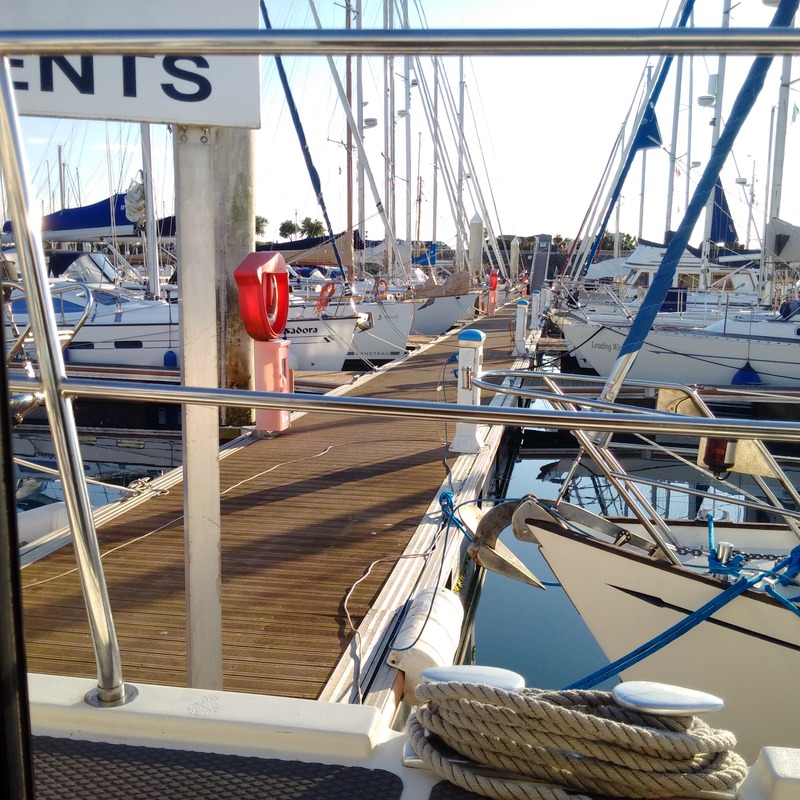 The barrier out of St Vaast was opened a little early but we failed to take advantage of this as Kathleen got the forward rope stuck in the pontoon and we had to return and let her off to free it! I cruised dead along the 146deg leading line towards the harbour entrance and my accuracy was proved desirable by scores of fishing marks being located on either side but not on the channel. Also by the two fishing boats leaving and bearing down on me on the reverse bearing! 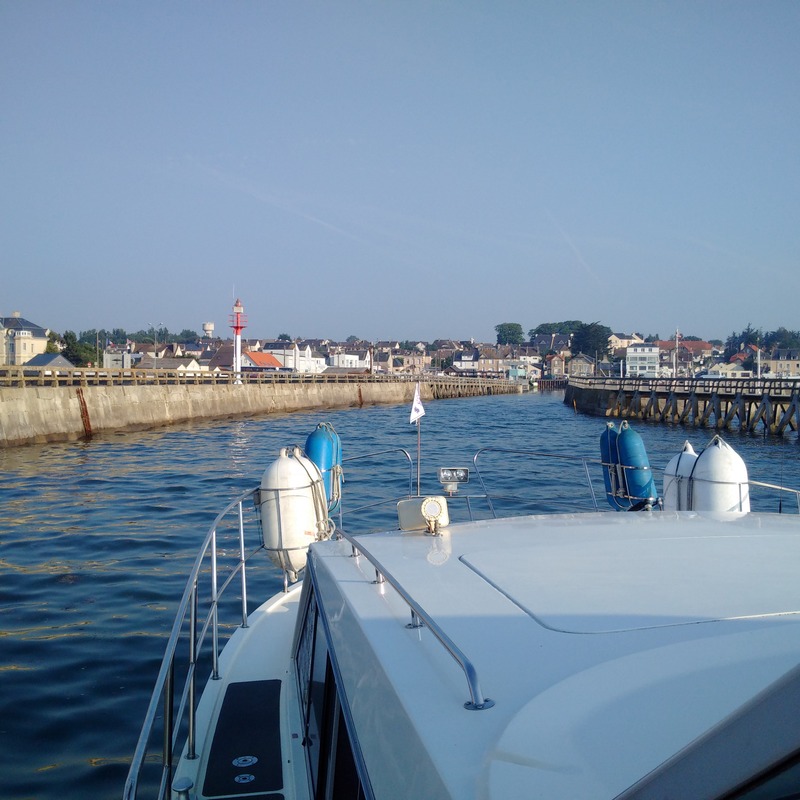 Upon arrival at Port en Bessin, the harbour office was closed and nobody was answering the VHF until quite late and so we moored up at the end of the visitors’ pontoon C and made ourselves secure and then washed down the boat and filled up the water tanks. 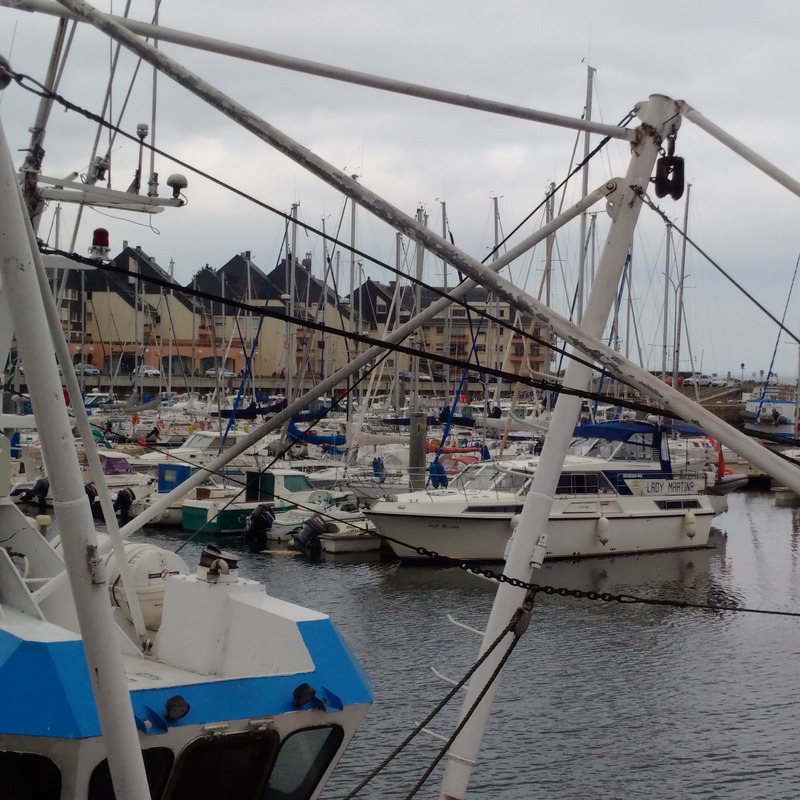 I was amazed by the number and activity of the fishing vessels. Grandcamp Maisy has always been a busy fishing port but seems even more so now with up to four large vessels unloading fish and crustaceans at a time into the purpose-built refrigerated warehouses along one quay and all of the other quays fully-occupied by 20+ other vessels. I took a little walk around to check the harbour office, its display of weather and tides (tout dans Francais seulement) and then came back to help dry off Lady Martina and put her to bed for the night so that we could relax, eat and take stock at the end of what had been a very hot and exhausting but productive day. Seemingly the hottest for some 30 years.